EVELEIGH: Sydney Writers Festival (SWF) lit up Carriageworks in the heritage-listed rail yards in Eveleigh with its “The Year of Power” theme from April 30 to May 6. Three literary luminaries, André Aciman (Call Me by Your Name), Min Jin Lee (Pachinko) and Alexis Okeowo (A Moonless, Starless Sky) kicked off a packed program, which probed the power of words to bring personal and political change in a volatile global environment. SWF CEO, Jo Dyer, observed that the festival’s temporary move this year from Sydney’s Wharf Theatre precinct meant festivalgoers had turned their backs on the “glittering” harbour to embrace the dynamic world of the inner west. SWF Artistic Director, Michaela McGuire, said in examining power and how it has been abused, speakers would make a firm case for literature, stories and public conversation that would help “resist the pull of backward-lurching culture”. The #MeToo movement and the posturing of the US President were two incendiary threads that snaked their way through panel discussions and presentations held across the city of Sydney and extending into the suburbs and the Blue Mountains. Pulitzer Prize-winning author of The Brief, Wondrous Life of Oscar Wao, Junot Díaz, left the festival early after guest novelist Zinzi Clemmons asked him during a panel discussion if he had anything to say about “the way you treated me six years ago”. Jennifer Egan at Sydney Writers Festival. 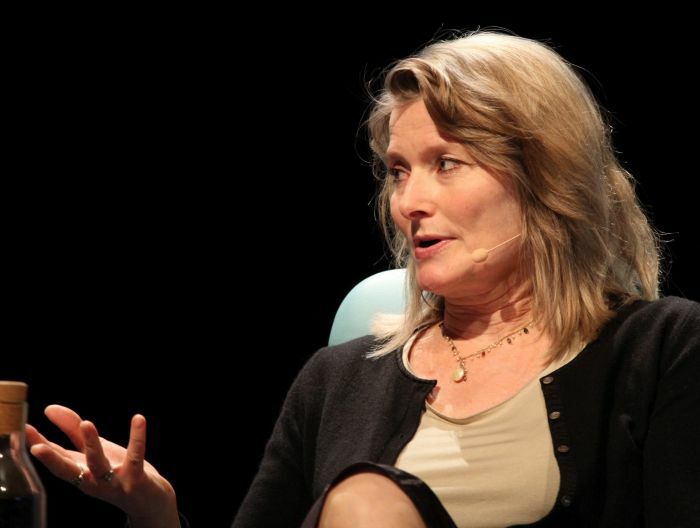 Acclaimed American author Jennifer Egan told ABC TV’s The Book Club host Jennifer Byrne that her intention in writing her most recent novel was to show feminine strength and the forces that thwart the full expression of female power. Manhattan Beach is Egan’s long-awaited follow up to the Pulitzer Prize-winning A Visit from the Goon Squad. It is a grand historical novel set against the backdrop of the Great Depression and the Second World War. At 19, its protagonist Anna Kerrigan conceives a plan to be the first female diver in the navy – and despite the sexism prevalent in her world and workplace – she ultimately succeeds. Interviewing people in their 80s that had worked at the at the Brooklyn Naval Yard had made Anna’s narrative much more visceral for her. Women were given jobs and opportunities during the war that were taken away when the war ended, Egan said, and then were wrested back “with a roar” by feminism in the 1970s. Egan also felt she’d captured the “thuggish-ness that is a legitimate strain in American life” and the violence at the heart of American society. “We are watching this strain predominate in the White House now,” she said. 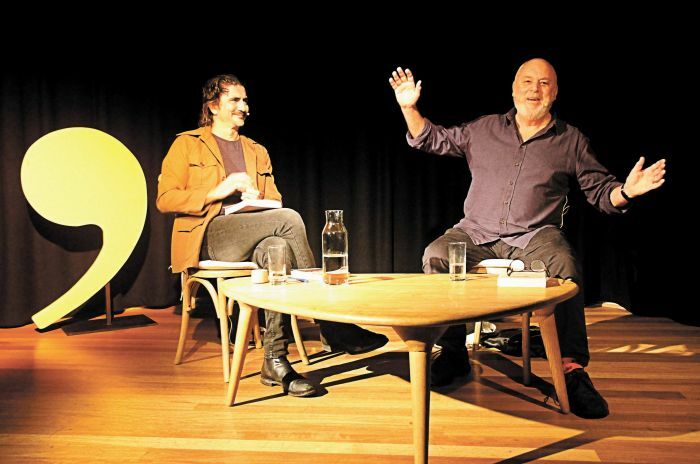 Violence against Australia’s Indigenous people featured in a candid conversation between Australian author Robert Drewe and the Literary Editor of The Australian Stephen Romei. Drewe’s first book, The Savage Crows, published in 1976, had been a “life-changer” for Romei – enlightening him about colonial history and the terrible treatment of Australia’s Indigenous people. Robert Drewe at Sydney Writers Festival. Drewe said he’d written the book “in a fit of young man’s anger” stirred by the centenary of the death of Truganini (known as one of the few Aboriginal Tasmanians rooted in pre-contact language and culture who survived beyond the middle of the 19th century) and Tasmania’s Black War, which had caused the near-destruction of the island’s original Aboriginal population. 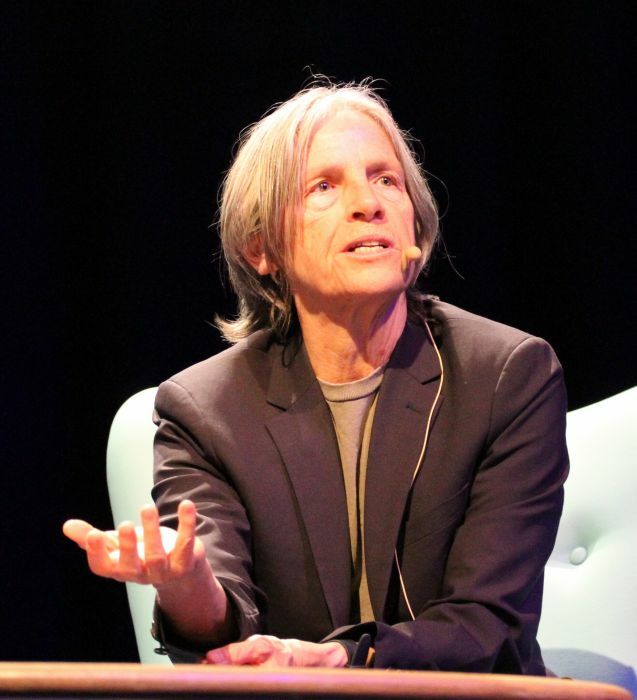 Eileen Myles interviewed at Sydney Writers Festival. Korean-American author Min Jin Lee discovered something similar when she’d interviewed Koreans living in Osaka for her book Motherland. She said her subjects had been denied human rights in Japan but they did not see themselves as victims. They insisted on defining themselves, rather than being defined by power. Emerging Assyrian-Australian writer Monikka Eliah argued that it was time people broadened their limited views of what culturally and linguistically diverse Australian stories should look like. Eliah arrived from Iraq via Jordan in 1998 when she was six years old, and insists refugees have stories to tell beyond fleeing oppression or fitting in to Australian society.